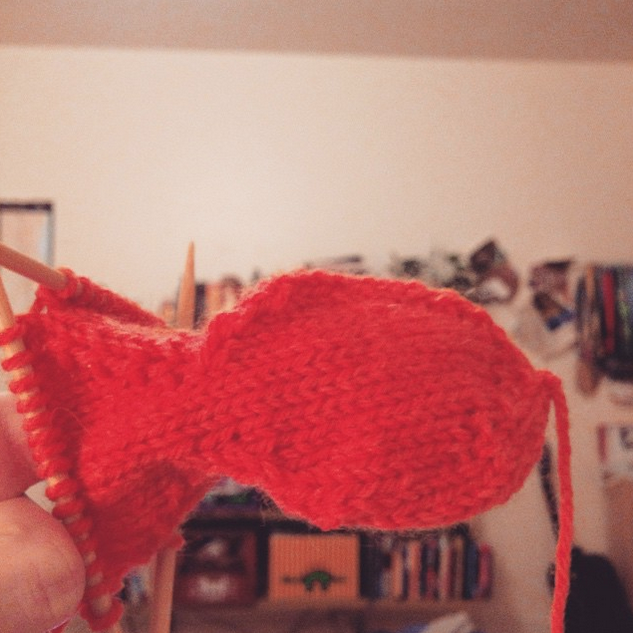 Sweater and leg warmer knitting has fallen by the wayside over the past month—it’s starting to get hot enough here that all I want to do after work is lock myself in the bedroom with the window AC and try not to melt. 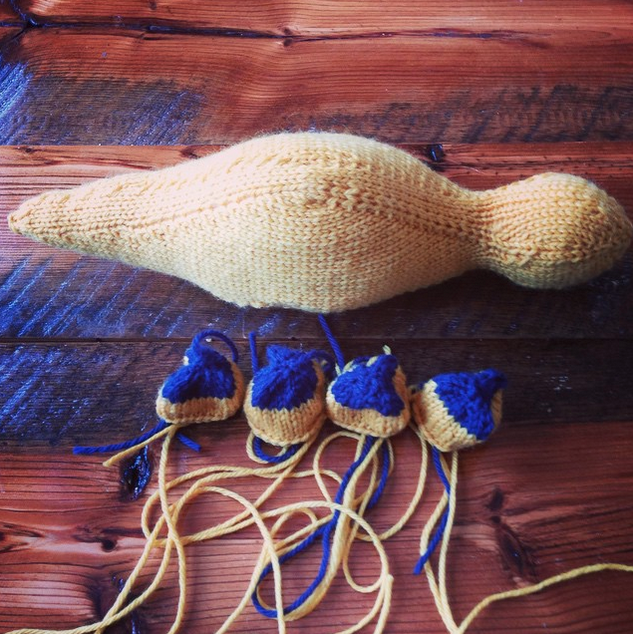 In my search for compact, lightweight, not overly complicated knitting projects that didn’t involve sitting under piles of wool, I decided to embark upon a mission: knit a squad of dinosaurs. Why dinosaurs, you ask? Because they’re awesome. Why a full squad? 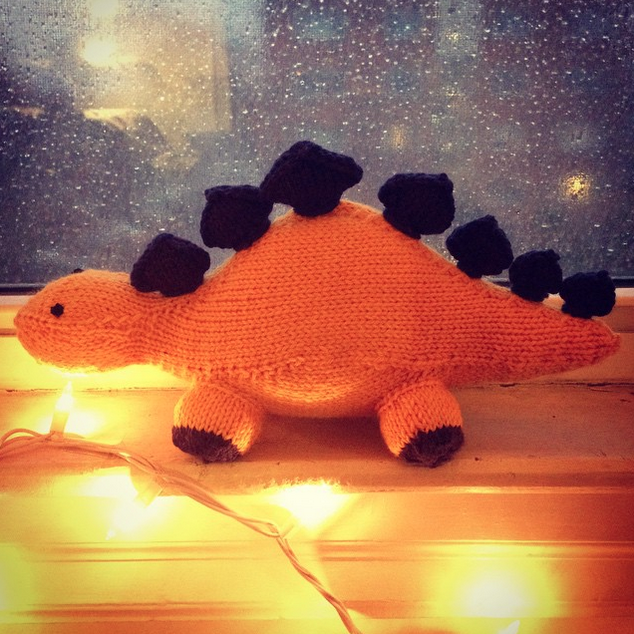 This summer coincides with the pregnancies of two friends and the birthdays of all three of my niblings, meaning I have five opportunities to make a tiny kid’s day with a squishy, fuzzy, wondrously plated knit stegosaurus. I had high hopes of cranking all five dinos out and then doing a cute photoshoot with an artfully handcrafted jungle-themed background, but then I realized: a) I’m not that kind of blogger; b) I already gave one away; and c) ain’t nobody got time for that. Watching these take shape has been so fun. Right now, I’ve finished three of the bodies and am partway through the second set of feet/plates. 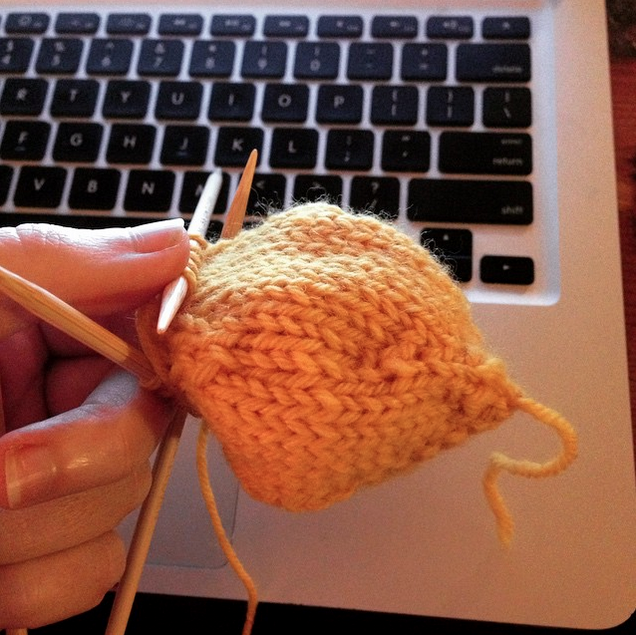 I’m getting great practice working with double-pointed needles, and they’re so cute that I can’t stop myself from AWWWWWWWWWING every now and then. 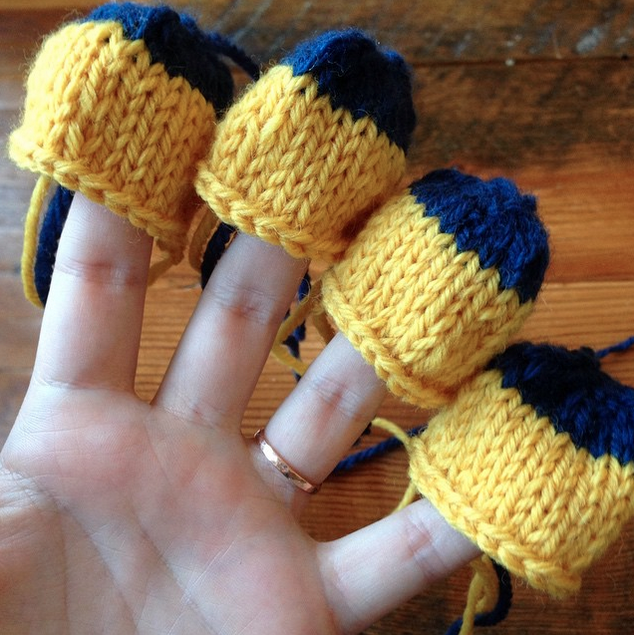 Which I’m sure thrilled the other knitters at brunch a couple of weeks ago. Bonus: a very detailed discussion of appropriate dinosaur terms of venery!